No sooner has the self-publishing community digested the news of the closure of Macmillan-owned platform Pronoun, publisher Bonnier Books Nova has decided to shutter its self-publishing service platform Type & Tell at the end of this year. Type & Tell is no longer activating new accounts and has contacted its author community to inform them of the imminent closure and that all book project files should be downloaded from their website before December 9th. While not having the market reach of Pronoun, Type & Tell had slowly developed in popularity with authors since its launch. It is another all-too-common, sudden and messy end for a self-publishing platform offering added services. For me, it is yet another stark reminder that the self-publishing service provider market is going to continue to shrink significantly and the interest large established publishers and media companies once had in these kind of new start-ups is now seriously waning. Every time I release the latest Publishing Service Index, I find myself not introducing a new provider or opportunity, but instead remove service providers that have ceased to trade or just decided to go in a different direction of business. 2018 is not going to be an easy year for some service providers. Many of them carry out financial and business reviews during this time, and I suspect we shall be revisiting such posts like this in the months to come. Just as the established publishing companies did their time of review and reflection, the self-publishing service market is also undergoing the same process. As authors, we must also understand that freemium services are what they are: here today, gone tomorrow. While Pronoun and Type & Tell are – in the whole scheme of things – small services; put yourself in the position of those authors and ask yourself – what would I do tomorrow if I got an email from KDP/CreateSpace, Smashwords, Kobo, or IngramSpark, only to be told, you have two weeks to sort your book project(s) out before we pull the plug? We are in sobering times. I even fear for services like Reedsy and Pressbooks, both have been terrific for indie authors. It is with great regret that we have to announce that Type and Tell UK will cease trading at the end of 2017. As a result, it is no longer possible to create a new account, and packages and services are no longer available for purchase. All registered users can download files from the Book Editor as Word documents. Please do this before 9th December 2017 – after this date your T&T Dashboard will no longer be available. Our customer service centre will remain fully operational until 5.30pm on our last day of business – which will be on 20th December 2017 – so if you have any enquiries about your files or require any further information or assistance, please do not hesitate to contact us at hello@typeandtell.com. This has not been an easy decision. It is a very sad moment for everyone in the Type & Tell team. 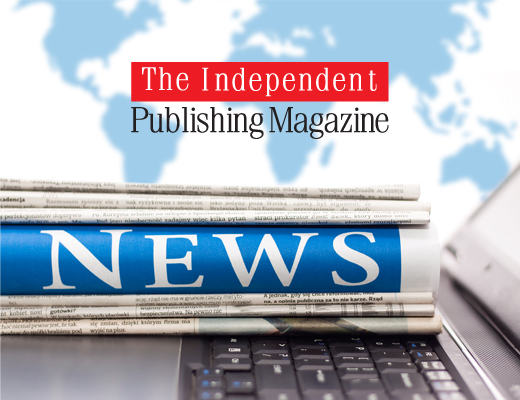 We set out to create a new kind of self-publishing service – a place where authors could write, make, print and publish with ease and with professional help. We’re enormously proud of what we’ve achieved in such a short time and have enjoyed working with you on your projects, sharing your stories. To paraphrase Winston Churchill, we very much hope that this is not the end, but perhaps, just the end of the beginning of your publishing journey. Happy writing. Can I ask why you are so concerned about Pressbooks? I just had to move ten books off of Pronoun’s platform and I have used and currently have my books files for eleven books with Pressbooks now. I would hate to have to go through what I did with moving from Pronoun again with Pressbooks.